We’ve been expanding the reach of our Extender Plugins over the past year or so as we’ve ported it over to several new WP Theme Frameworks. 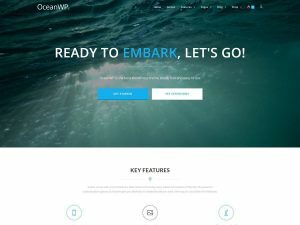 Our most recent supported theme is OceanWP, an excellent free WordPress Theme Framework worth checking out if you haven’t already. This latest iteration of Extender is called OceanWP Extender and it, like our other Extender Plugins, greatly enhances the customization capability of the theme it “extends”. Just like the Genesis, Beaver, and GP (GeneratePress) Extender Plugins, OceanWP Extender offers extensive custom coding capability, including powerful CSS, PHP, and JS (Ace Editor powered) code editors, as well as the super handy Front-End CSS Builder tool. Also provided is the ability to easily create custom content, Widget Areas, and page/post/custom post type Templates to help enhance your theme’s content and structuring controls. As a kind of “swiss army knife” dev tool, OceanWP Extender has something to offer most any web design situation or need. The All New Extender Bundle! As more and more Cobalt Apps members request new versions of Extender to support their growing list of go-to themes, it’s been made quite clear to us that a kind bundled option for Extender might be beneficial to many. I know for myself, who enjoys using several of our supported themes at any given time, I appreciate the ability to have each of our Extender Plugins available when needed. So I’ve now created the Extender Bundle package that includes every single Extender Plugin we offer (including future iterations) for one low price! Currently you’ll save almost 50% off the price of purchasing these Plugins separately!! Also, you’ll receive a kind of “master” license that will activate ALL included Plugins, as well as the ability to renew one “product” that covers all Extender Plugins instead of having to renew each one separately. So if you use OceanWP Theme or are planning on doing so in the future then you’ll definitely want to have a look at OceanWP Extender! And for those who keep expanding their Extender arsenal you’ll be happy to have the Extender Bundle as an option! Also note that you can upgrade to the Extender Bundle through your “My Account” page from any Extender Plugin you’ve already purchased, receiving a discount based on the current price of the specific licensed version you own.